A child brings immense happiness to a family, but not every family is blessed with this gift. 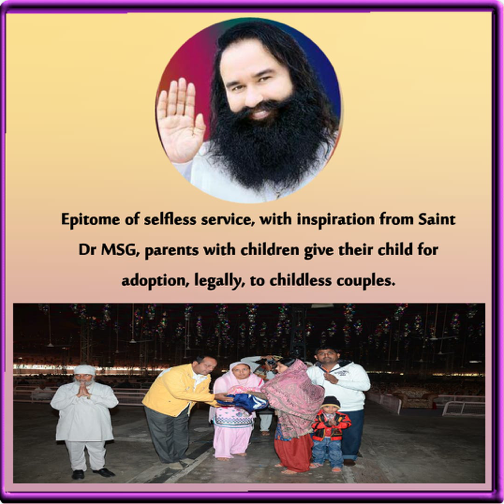 As a reason,to spread this happiness to the childless couple Baba Ram Rahim Ji has initiated the child adoption initiative as one of the 134 welfare initiatives where couples give their own child to childless couples complying with legal procedures. In the last few years, since , 1996, more than 350 children have been given away by parents to childless couples in these unique adoption programs. This initiative has been named the The Gift of Happiness. And without any doubt, this is the gift of happiness by one mother to another. 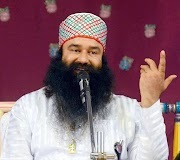 Guru ji Gurmeet Ram Rahim Singh Ji started a great initiative where couples having two or more children give one child to childless couple with complete legal process..! For a childless couple, their entire thoughts are riveted to having children. Children mean joy and continuation. The void, Pain, Agony in the life of childless couple can't be healed with any amount of money or other worldly things. And #TheGiftOfHappinessis beyond measure a healing aid to any childless Mother and Father. 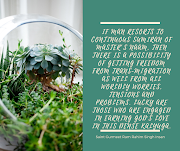 In this selfish era no one is ready to give anything to anyone but hundreds of volunteers following their Guru, giving their child through legal adoption to childless couples is no less than a miracle. #TheGiftOfHappinessis equivalent to giving a piece of heart (child) to someone and is not an easy task for parents especially for mother. But when Guru Ji motivates, to make sure another Mother experiences the same joy and love, this mother is willing to share her joy. 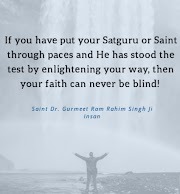 Dera Sacha Sauda is well known name in whole world in performing 134 selfless humanity activities with teaching of humanity leader saint @Gurmeetramrahim ji and his teachings are the torch bearer for humanity and millions following on this path have turned into real humans from pseudo humans. 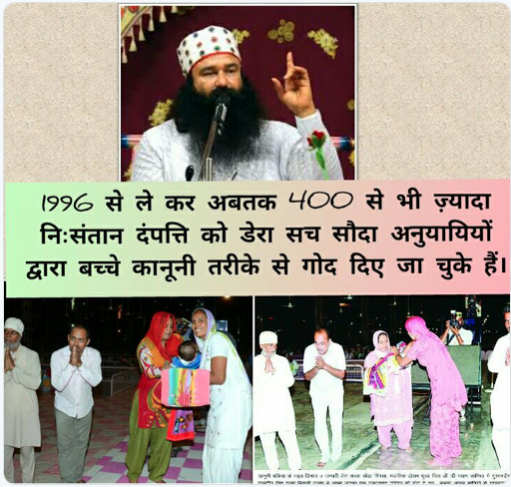 It is heartening to see humanity, flourishing following the guidance of Guru Ram Rahim Ji.